Hard drives will fail and, if you don’t make appropriate preparations, data can be lost. Implementing a proper backup system allows recovery of data in the event of a hardware failure. A good rule of thought for backups is the 3-2-1 backup rule. So what exactly is the 3-2-1 backup rule? Keep 3 copies of important data. Maintain the original, plus at least two additional copies. Redundancy is key to data recovery, but just because you backed up your data to one location does not ensure that the backup will be ready to go when you need it. Keeping two copies allows two chances of recovery, in the event something happens to your backup. Use 2 types of media to back up your data. Tapes can fail or become unreadable; backup hard drives can be dropped or damaged. Don’t put all of your faith in one form of backup. It can be difficult to consistently maintain regular backups to both types of media. So, instead, use frequent backups to one type of media and periodic backups to a secondary media. Think of it as backing up to disk nightly, and then moving those to a tape of some kind once a week. Keep in mind that backing up to the cloud is only one type of media. 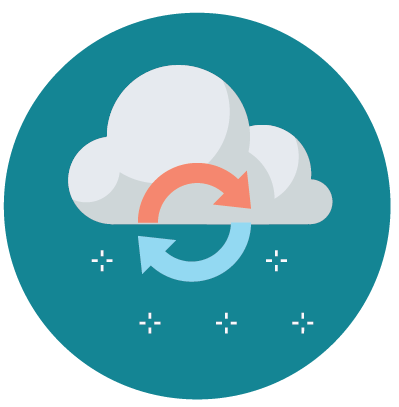 Have a plan for accessing a backup in the event you cannot get to your offsite, cloud-based solution. Store 1 copy off site. Placing your backup tapes on the shelf above your server leaves little protection in the event of a fire in your server room. Maintain a regular schedule to get those backups out of the office.